Brigg Town Community Interest Club remained on course for a potential treble after booking their second cup final appearance of the season. They saw off Louth Town 4-2 on Saturday to reach the Lincolnshire League’s Challenge Cup final where they will meet Lincoln United Development Squad. 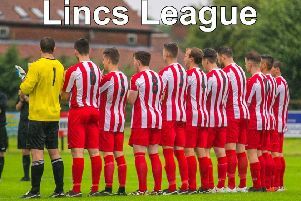 Brigg are also third in the Lincolnshire league with five matches to go and set for a Lincolnshire FA Junior Cup final against Horncastle on Friday, April 12 at Skegness Town FC. Reece Moody helped himself to a hat-trick on Saturday, and Ryan Thompson scored the other for Brigg who finished the game with 10 men after the dismissal of Sam East. Moody’s first two goals gave the visitors a 2-0 half-time lead at Saltfleetby, before Ryan Thompson widened the gap. Rocky Rawlings pulled one back for Town, but Moody completed his hat-trick from the penalty spot to restore the three-goal cushion. Rawlings grabbed another with 25 minutes to go, but the White Wolves failed to take advantage of the extra man when East was sent off for a second bookable offence. United came through their semi-final after a tight win over Horncastle at The Wong. After a goalless first half it took a solitary Callum Chapman goal to separate the two sides. But being cup-tied, Brigg lost ground in the title race as Lincoln Moorlands Railway took advantage by winning their game in hand 5-1 at Immingham to go top of the pile. CIC trail the Lincoln side by five points with five matches remaining, and lie three points behind second-placed Gainsborough Trinity Reserves, but with two games in hand. With Trinity out of action this weekend Brigg will leapfrog above them into second place, on goal difference, if they can take all three points at fourth-placed Ruston Sports on Saturday. Moorlands, meanwhile, travel to fifth-placed Wyberton.